Welcome to the 2017 RamNation Pigskin Pick’em Contest, sponsored by Rams Book Store! 12/3/17– It’s been a long, grueling season in the RamNation Pigskin Pick’em Contest, sponsored by Rams Book Store, but we’ve finally crowned our champion. For the first time since she started competing in the contest in 2009, mdwatts has landed herself a championship, thanks to an incredible stretch in Weeks 8-12 and doing just enough in the past two weeks to hold on to the top spot. She tied Racehorse28 with 115 “Contest Wins” (which factors in throwing out each contestant’s worst two weeks), but earns the top spot thanks to owning the higher Season Total (gross total) of 129 wins compared to Racehorse28’s 126. She earns honor of being the 18th RamNation Pigskin Pick’em Contest champion and the $100 store credit to Rams Book Store. Mdwatts’ 7 this week matched her lowest score of the season, but that’s what helped her win the contest — she avoided disastrous weeks, and when throwing out the worst two scores of the year, the rest of her season consisted of all plus-.500 weeks. She had a trio of 7s during the season, a pair of 8s, two 9s, and seven double-digit weeks. She finished the season with an amazing 61.4% winning percentage. She has been one of our most consistent competitors over the last eight years. She tied for second place in 2011, and took fifth place in 2013. Yet, she was challenged to the end by Racehorse28, who had a tremendous run of his own, which included an individual week win in Week 11. His two low scores of 5 and 6 were the difference in the tiebreaker. He still finished with a 60% winning percentage and earns the $50 store credit to Rams Book Store. Third place was secured by CSUCUDAD2, who had a great season as well, with 113 Contest Wins. He started the season extremely hot, sitting atop the standings for part of the season, but hit a lull with scores of 6, 7, 5, 7, 6, and 3 in five of the final seven weeks of the season. His score of 10 this week was enough to hold onto third place outright. For his efforts, he earns the $25 store credit to Rams Book Store. RamMan was bidding to finish “in the prizes” for the first time ever, and had been in the top three for much of the past month. But he recorded a 4 this week, to plummet to a tie of ninth place. Durwardram and desertram each were just one win out of third place entering this week, but didn’t score well enough this week to move up. The field finished strong, with a 53.3% winning percentage for the week. Amazingly, it was the 11th plus-.500 performance in 14 weeks. For the season, our final season winning percentage of 51.65 beat the previous high of 51.3% mark from 2010. It’s the seventh time we’ve finished over .500 for a season, and is the sixth time in the last eight years. Congratulations to all of our winners! If you’ve had a rough season, don’t fret. We all start anew with Bowl Pick’em that runs through the entire bowl season. Stay tuned for the contest launch sometime this week. Each weekly winner gets a prize from Rams Book Store. Season winners win gift certificates to Rams Book Store. 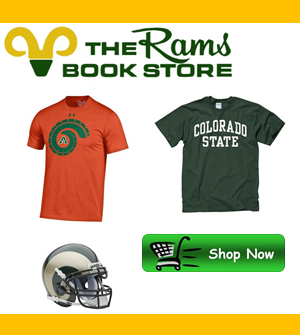 Prizes: Each weekly winner will receive a store credit to Rams Book Store. The top three finishers will receive gift Grand Prize gift certificates to Rams Book Store. Each week contestants will pick a winner in 15 games. Contestant’s should make their picks “against the spread”. For instance, if Iowa is favored by 12.5 vs. Wyoming and Iowa wins by more than 12.5 points, they win “against the spread.” If Iowa does not win by more than 12.5 points, then Wyoming wins “against the spread,” even though they might lose the game. The weekly winner will be the contestant with the most correct picks. Please have picks in 15 minutes prior to kickoff of the first game on the contest schedule. Please note that Thanksgiving many games start on Thursday. Please submit only one entry form per contestant. The system is set up so that if you want to change your picks before the weekly deadline, you simply have to to resumbit your entry, and it will overwrite the existing entry. All games involving MWC teams. All games involving two teams rated in the Top 25 AP Poll or receiving votes. At least one game involving each of the eight biggest conferences. Any other games of note (rivalry games or games involving Top 10 teams).